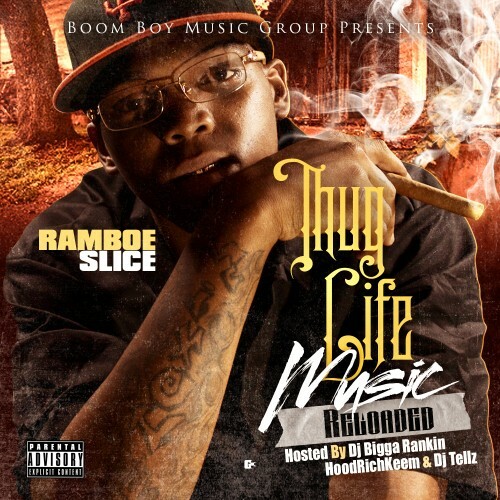 Boom Boy Music Group and Team Bigga Rankin team up to release Thug Life Music Reloaded by artist Ramboe Slice. Thug Life Music Reloaded brings in Bigga Rankin, Hoodrich Keem, and DJ Tellz on the hosting duties with various tracks that are guaranteed to get the streets talking about this project. IT's time to once again Feed The Streets. Follow @IndyTapes, @BiggaRankin00, @HoodRichKeem, @DJ_Tellz & @Ramboe_Slice!